Master of Business Administration (MBA), Columbia Business School, Columbia University, NY. Ph.D., Universidad Complutense, Madrid, Spain, 1995 (Social Communication History). B.A., Economics, Universidad Complutense, Madrid. Spain, 1993 (International Economics and Development). B.A., Communication Studies, Universidad Complutense, Madrid, Spain, 1991. Associate Professor in the Marketing Area, Economic Analysis & Business Management Department, Faculty of Economics and Business, University of A Coruña (UDC). She has been teaching full-time at the UDC since 2009, in both graduate (Master degrees) and undergraduate (BA in Business) programs in management. Since 2011 she has been the director of the Inditex Chair of Social Responsibility at the University of A Coruña and of its Postgraduate Course on Social Responsibility and Innovation. She has been visiting faculty at the International MBA Program of Madrid’s Instituto de Empresa. Her research interests focus on the governance and management of civil society and nonprofit organizations, philanthropy, corporate social responsibility, social innovation and nonprofit marketing. She has participated in several national and EU-funded research projects on those issues (in some of them as the principal investigator): Social Innovation and Civic Engagement (ITSSOIN), European Commission, 7th Framework Programme (2014-2017); European Foundations for Research and Innovation (EUFORI), European Commission, 7th Framework Programme (2012-2014); Instituto de Análisis Estratégico de Fundaciones (INAEF), Asociación Española de Fundaciones (2009-2011). She has been USIA visiting scholar at the American University in Washington, D.C., and research fellow of the Salzburg Seminar-Fulbright program, the Harvard Kennedy School, the Real Colegio Complutense at Harvard University, and Suffolk University in Boston. 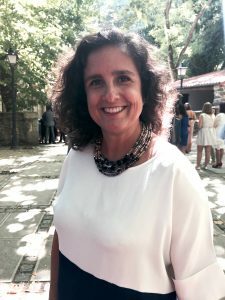 She currently serves in the advisory boards of Fundacion Rafael del Pino and the Spanish Association of Foundations, and is advisor of the Foundation of the University of Oviedo (FUO). She also belongs to the board of the European Research Network on Philanthropy (ERNOP). She has served in the advisory board of the Compromiso y Transparencia Foundation and its magazine Compromiso Empresarial. She has been invited to evaluate research proposals, as independent expert, by the European Commission, DG Research & Innovation, Seventh Framework Programme, and the Economic and Social Research Council (ESRC), UK. He has a degree on Telecommunications Engineering (IST/UTL) and post graduations on Quality Engineering (UNL/ISQ), Business Management (Upper Management Program, AESE/IESE and EDP Top Management Program, EDP/INSEAD) and on Organizational Ethics (Advanced Course on Organizational Ethics, Faculty of Human Sciences/UCP). 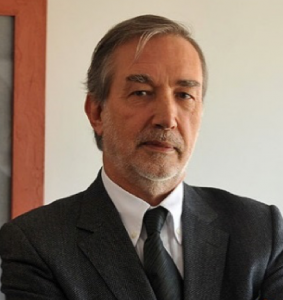 Since September 2012 he is the EDP Group’s Ethics Ombudsman. Previously, he held technical and management positions in the domains of Procurement and Suppliers’ management, corporate Quality, professional Education and Training, and Sustainability, among others, mostly in the Energy Sector. He is Honorary Member and past-President of the Board of the Portuguese Association for Quality (APQ) and also a founding member of “Fórum de Ética” at Católica Porto Business School. 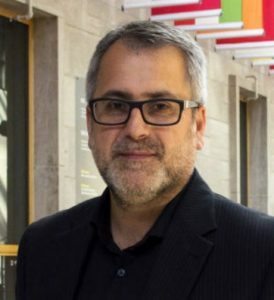 Being a member of the Portuguese Association of Engineers (Ordem dos Engenheiros), he is an elected to the Assembly of Representatives and keeps active collaboration in the fields of Ethics and Professional Deontology. José Soares represented EDP in different institutions, technical committees and working groups, both at national and international levels. Between 2010 and 2013, he was member of the Global Reporting Initiative (GRI) “Supply Chain Disclosure Working Group”.